These are a regular product in our trolley. They have excellent absorbency, and they are easy to unwrap. They also don’t glue themselves to your undies like some other products I’ve tried have, but at the same time they don’t dislodge and cause a blow out either. The pretty patterns distract from what can be an uncomfortable time, too. 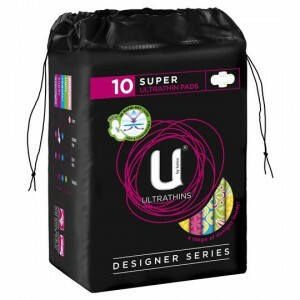 How would you rate U By Kotex Designer Series Ultrathin With Wings Super?